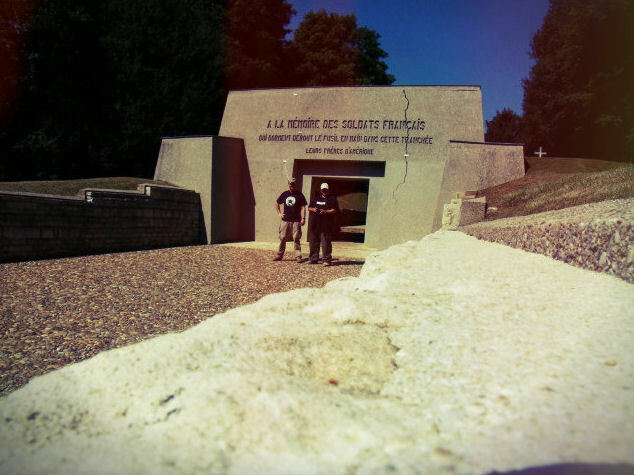 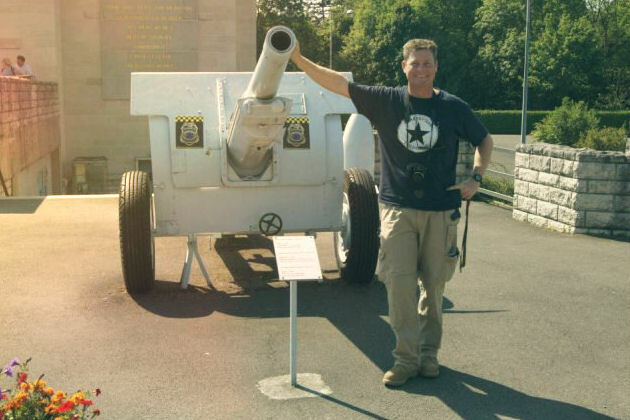 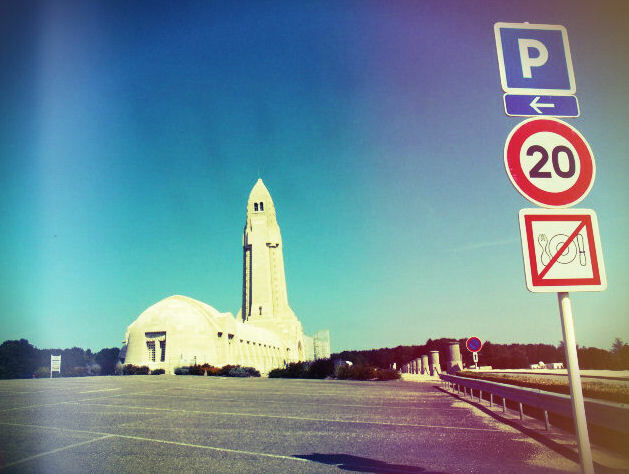 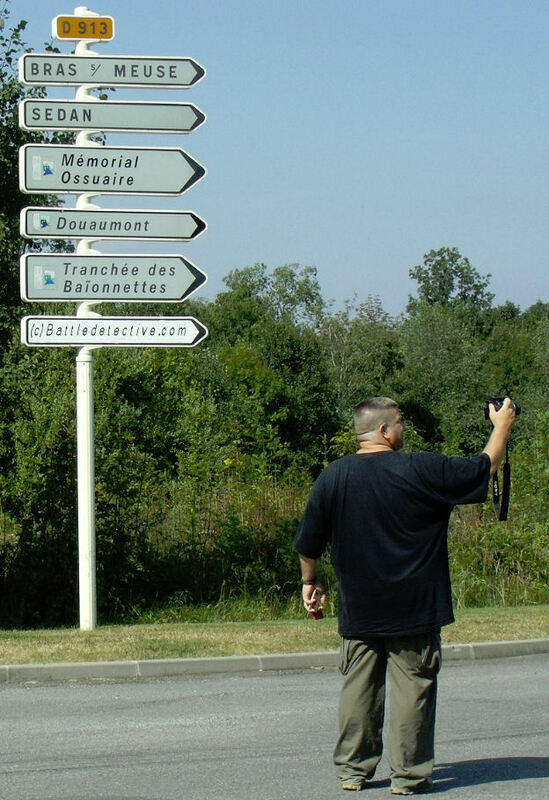 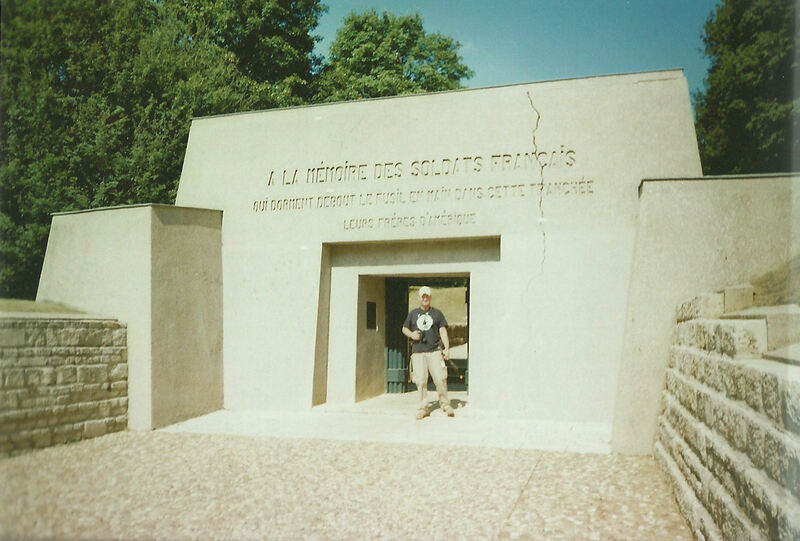 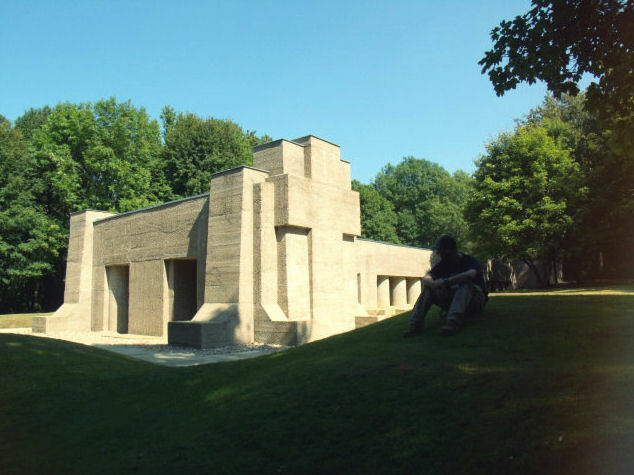 Introduction: In the Verdun Region of Northern France, the "Trench of the Bayonets" or "La Tranchée des Baïonettes" in French, is a popular tourist attraction among many other World War One (or: "Great War") battlefield sites and monuments. 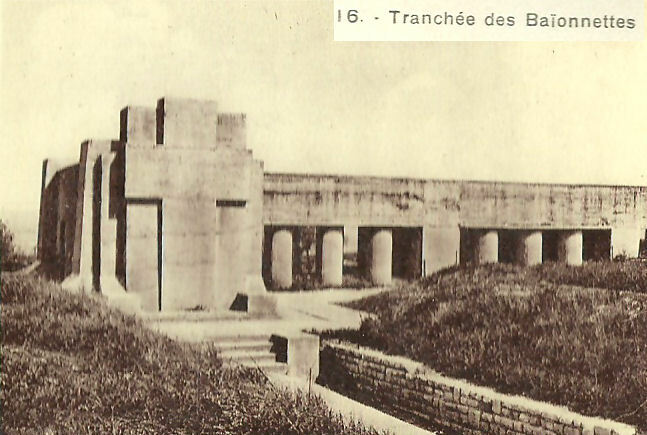 It became known to this agency that the story of La Tranchée des Baïonnettes (Trench of the Bayonets) is a mixture of factual history and battlefield myth. 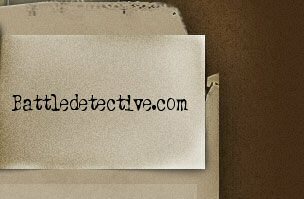 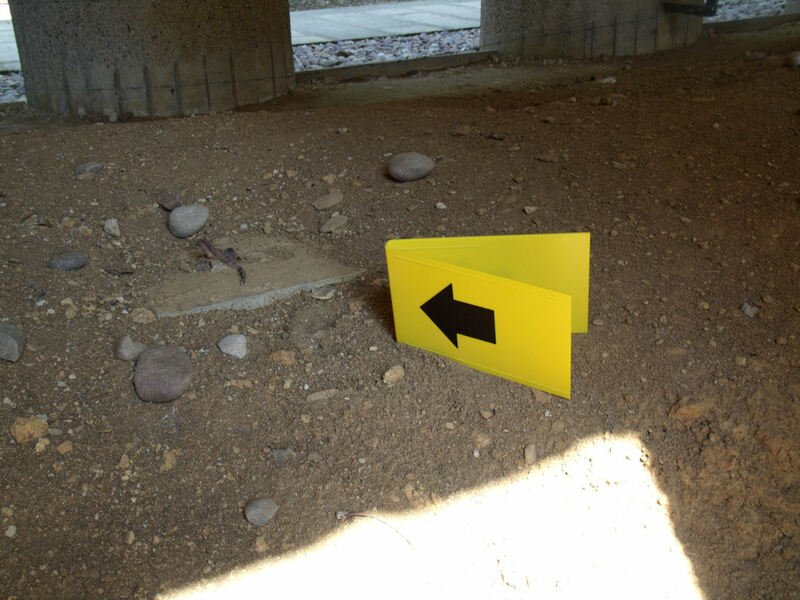 In this Case File # 17 we attempt to shed light on this subject. 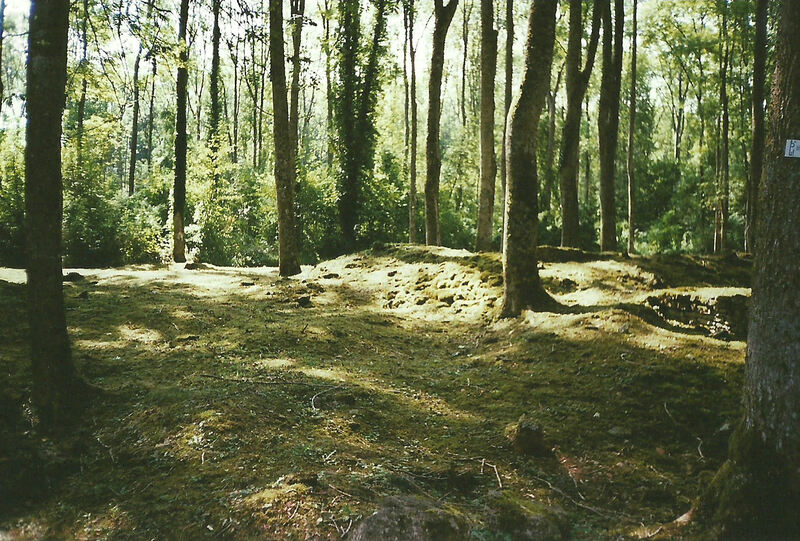 On 12 JUN 1916, this entrenched French position was a part of the terrain forming a salient west of Fort Douaumont, known as the "Thiaumont Redoubt". 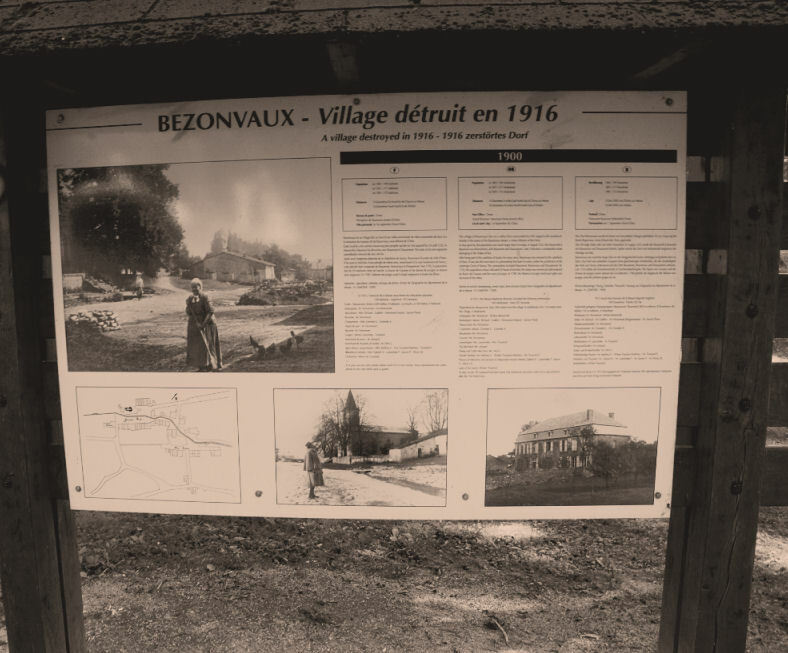 Their enemy, the Germans, planned to capture this location prior to launching their main offensive on 23 JUN 1916. 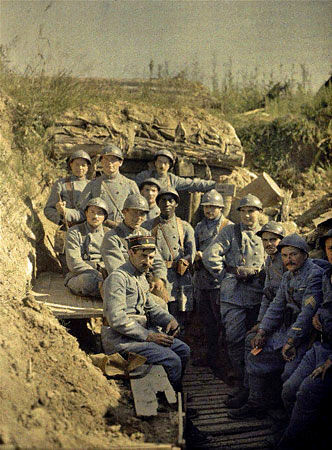 Two battalions of the French 137th Infantry Regiment, deployed at the frontline since the 10 JUN 1916, under intense artillery fire and were soon cut of from the rest of their unit. 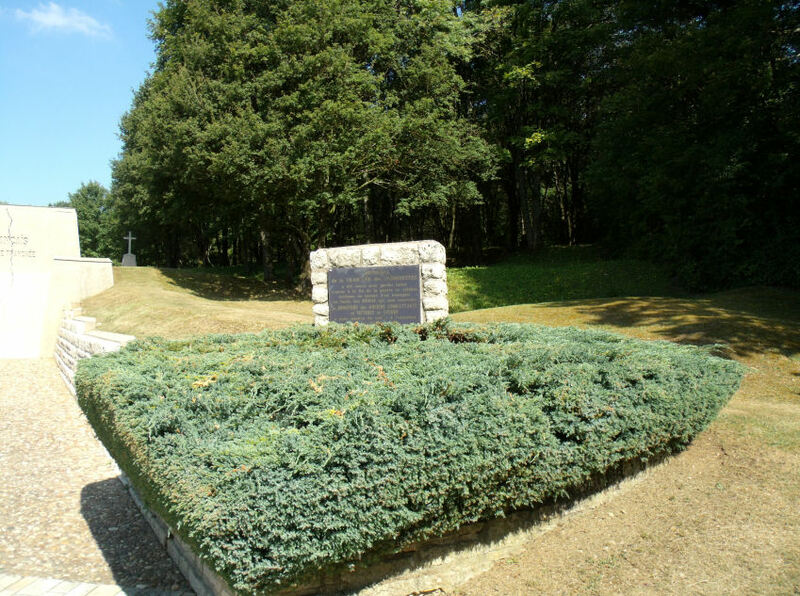 By nightfall of 11 JUN 1916 Company "3" of the 137th had sustained 94 casualties of its original strength of 164 men. 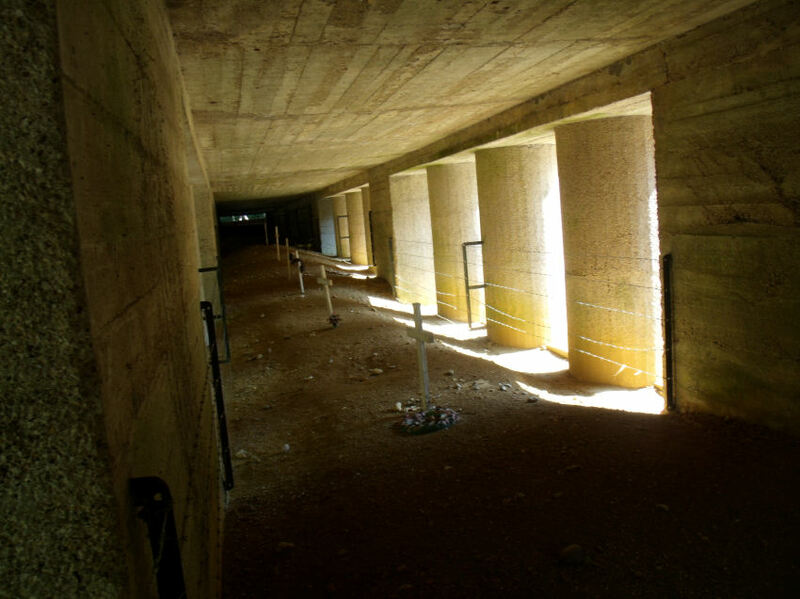 The remnants of the Company were positioned in a row of exposed trenches under direct observation of German artillery spotters. 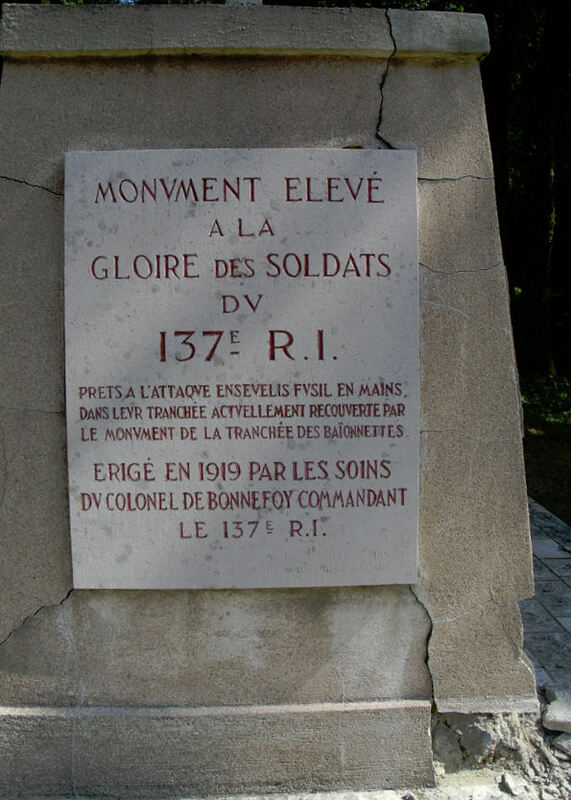 The artillery fire on the position increased in the early morning hours and the remainder of 137th Regiment was practically annihilated. 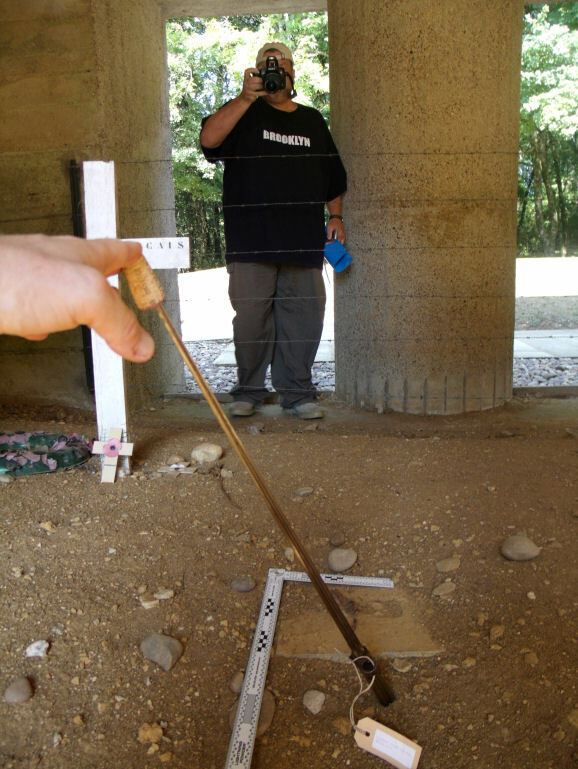 Only after the Armistice of 11 NOV 1918 French grave registration units surveying the battlefield found clues as to the fate of the men in Company "3". 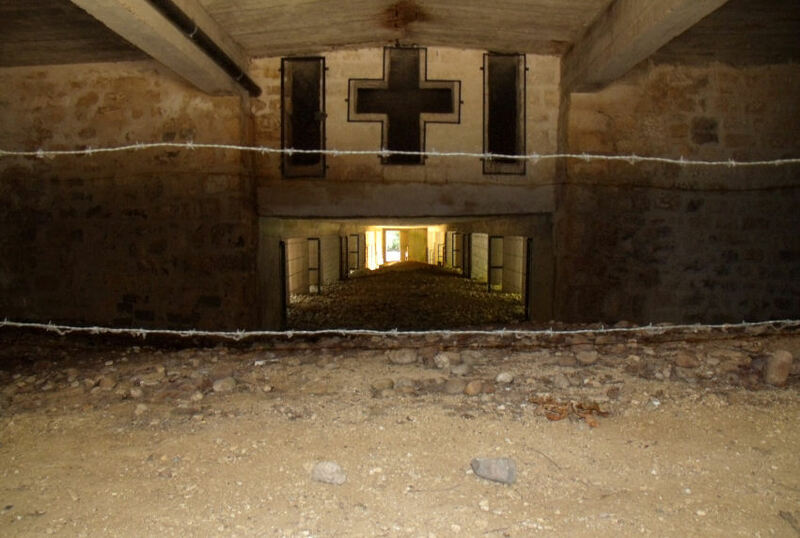 Their trench was discovered completely filled in with dirt, but along a certain stretch of it, at regular intervals rifles with bayonets still fixed, protruded from the ground. 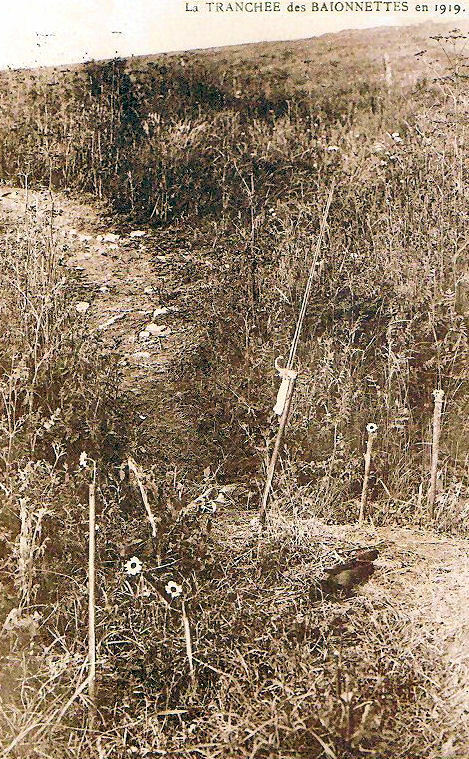 The period story had it that on excavation, the remains of a French "Poilu" (infantry soldier) were found beneath each rifle. 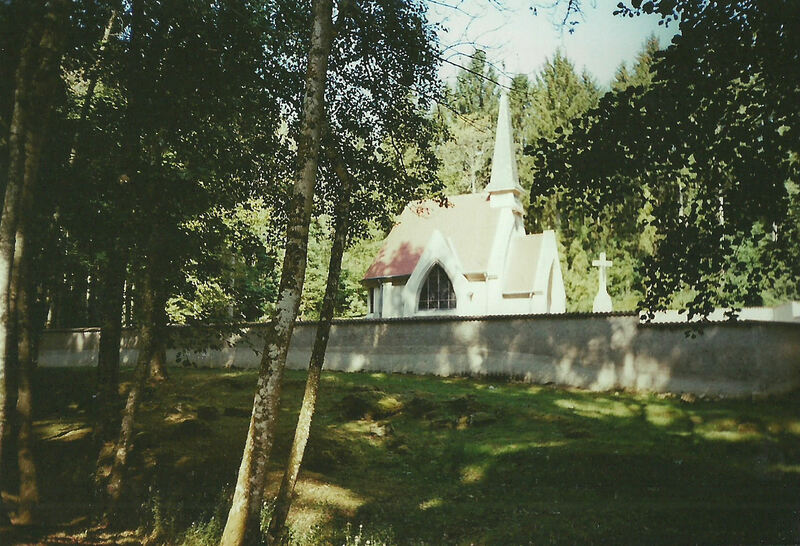 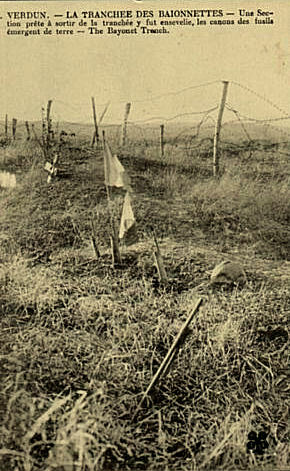 This discovery, combined with statements from surviving members of neighboring units, led to the theory, or perhaps the "myth", that the men in Company "3" had placed their rifles on the parapet ready to repel any attack and - rather than abandon their trench - had all been buried alive by the German shelling on their posts. 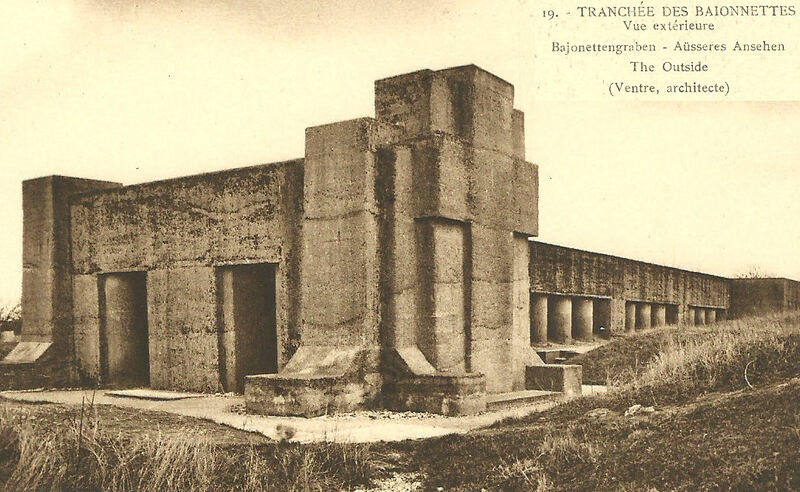 When the story of the Tranchée des Baïonnettes was told it caught the world's imagination. 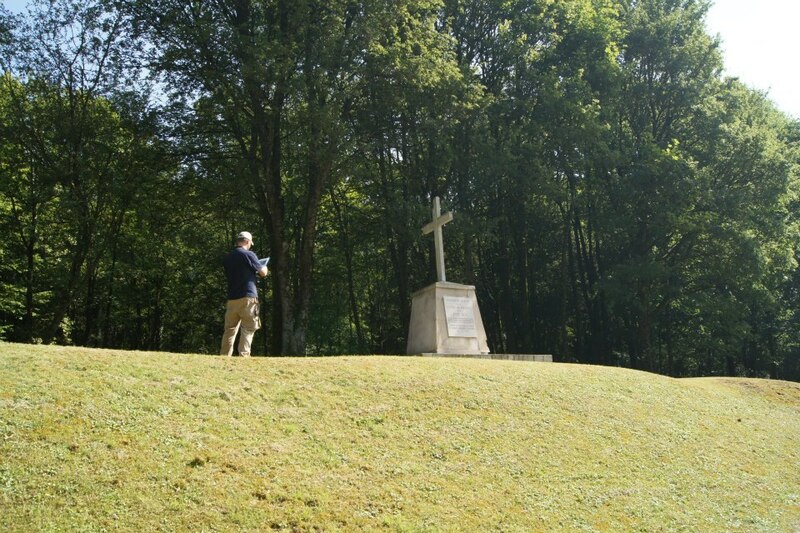 In JAN 1919 Colonel De Bonnefoy, commanding the 137th, had a small wooden monument erected close to the trench. 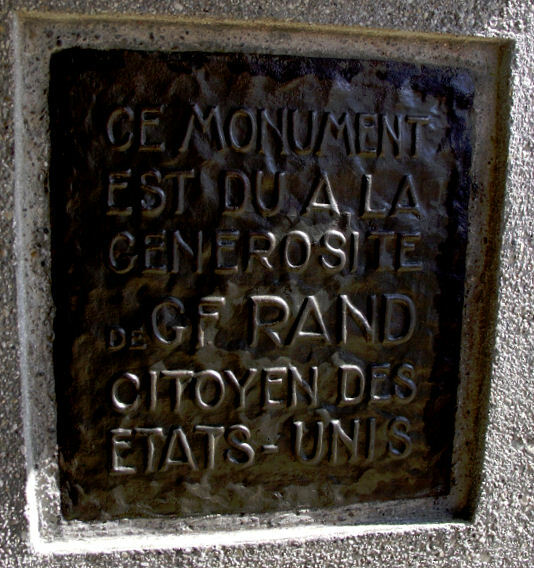 A wealthy American industrial, Mr. G.F. Rand, funded the construction of the Tranchée des Baïonettes Monument which can still be visited today. 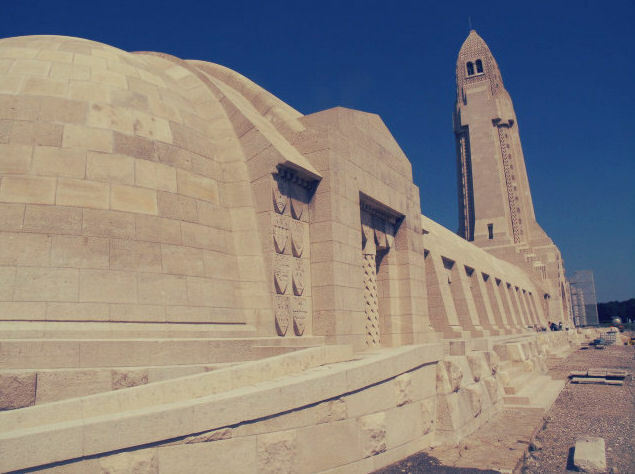 He approved the design of French war veteran and architect André Ventre and construction of the monumental entrance to the Monument with its impressive steel gate started. 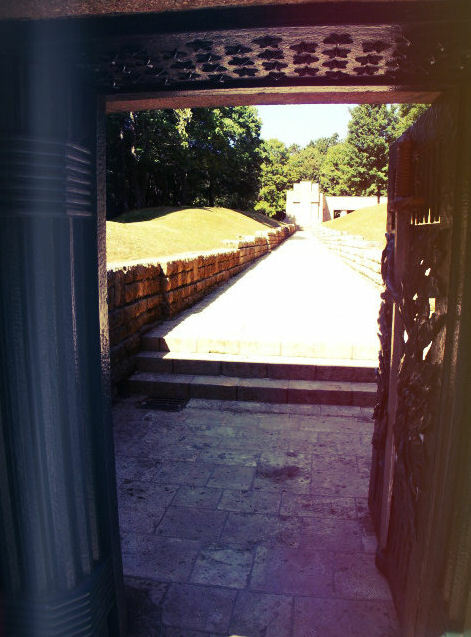 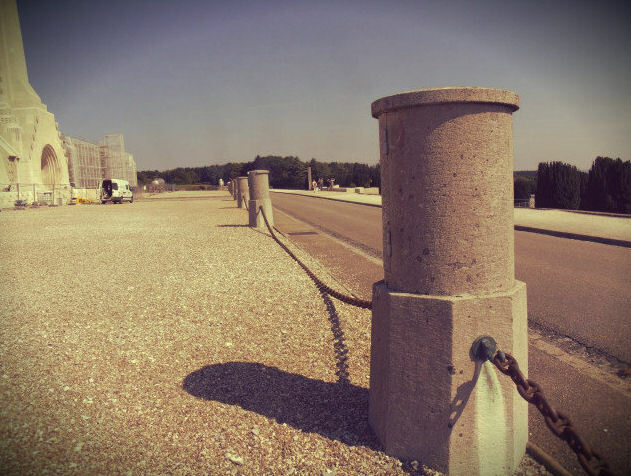 A paved pathway with walls with the appearance of a sandbagged trench leading to the concrete roof over the trench (leaving the trench intact as much as possible) and a paved path, leading from the D913 Highway to the gate were also constructed. 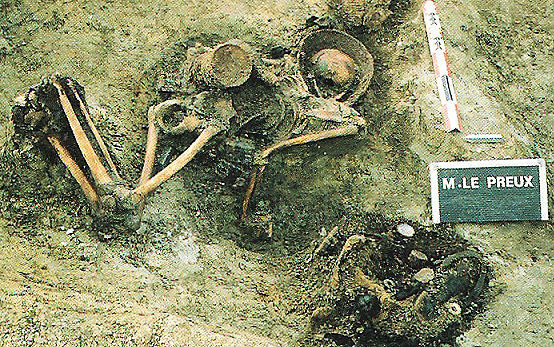 The story has it that during construction work, more remains of French soldiers were discovered. 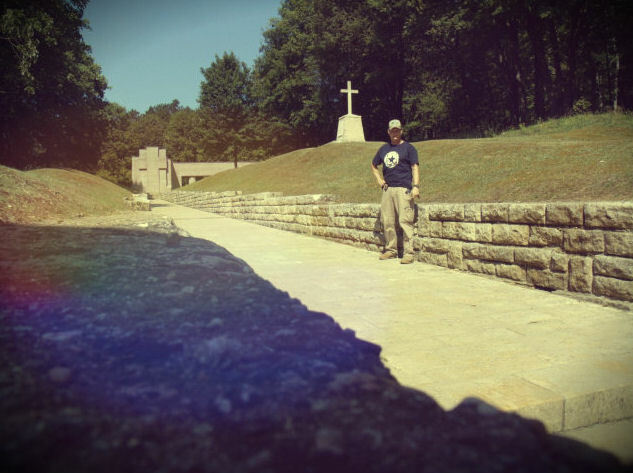 The D913 meanders through the former battlefields and leads visitors to other local Great War landmarks such as the Ossuary of Douaumont, the Verdun Monument Museum and the destroyed villages of Fleury-devant-Douaumont and Bezonvaux. 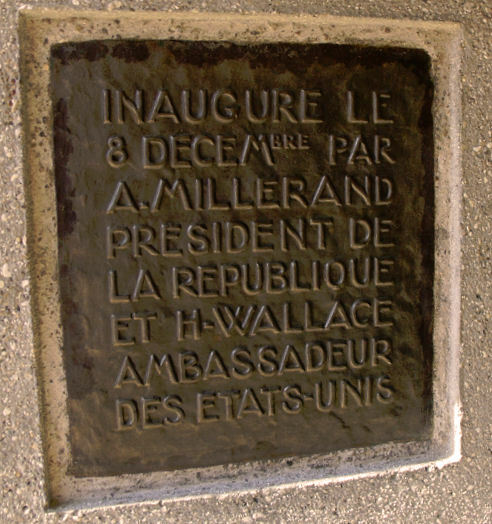 During a dedication ceremony the Monument was opened by Alexandre Millerand, President of the French Republic, in the presence of the ambassador of the United States, on 8 DEC 1920. 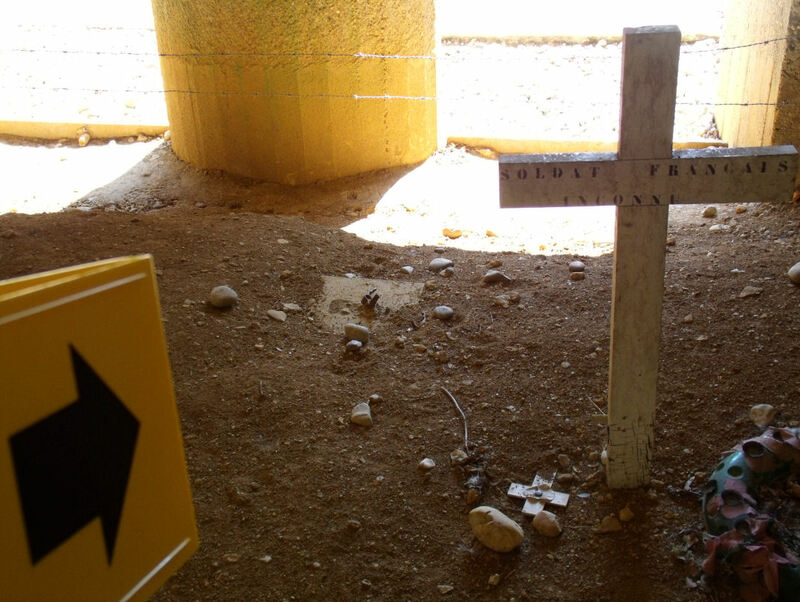 Different theories about the fate of the last men in Company "3" have evolved over the years. 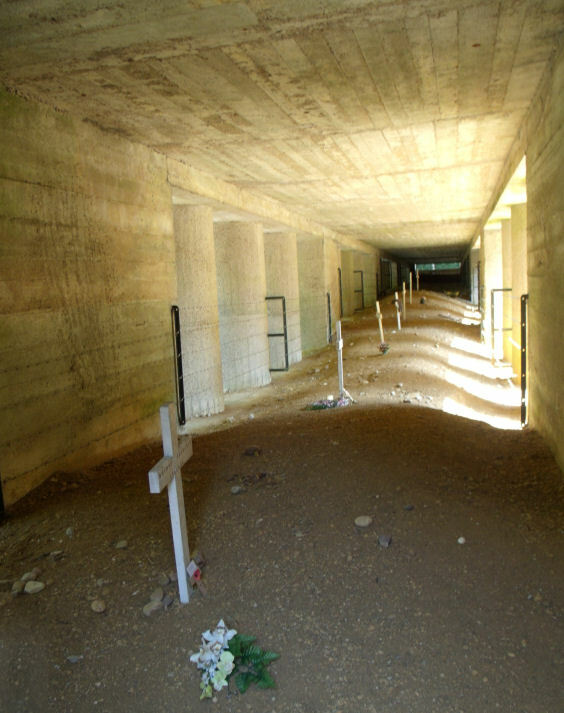 Their mass deaths are hypothesized to have been cause by a possible German gas attack or concussion from exploding artillery shells. 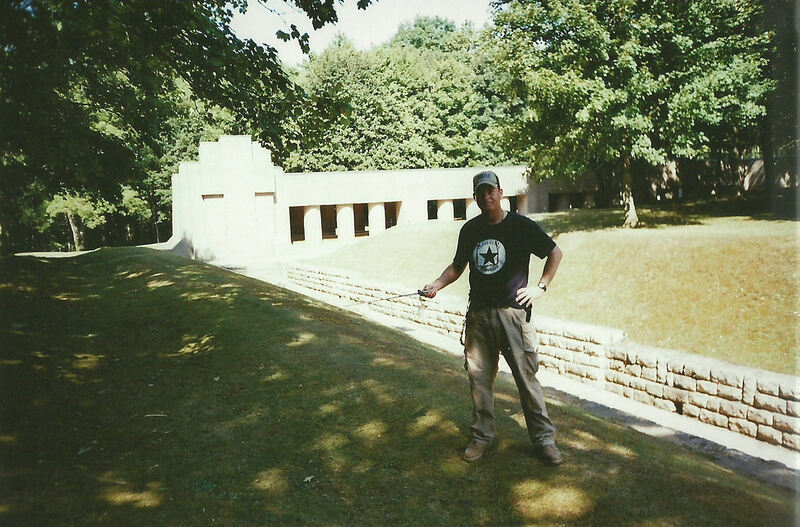 This may have been followed by Germans overrunning the salient and hurriedly filling in the trench due to hygienic reasons. 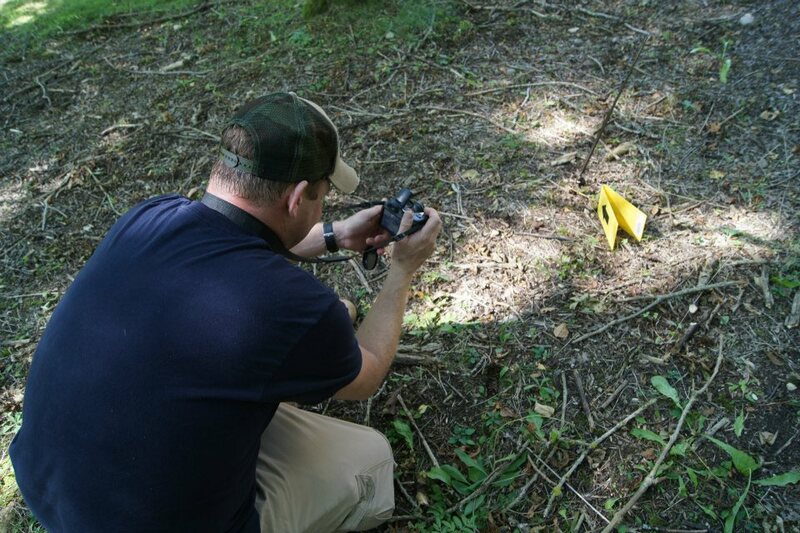 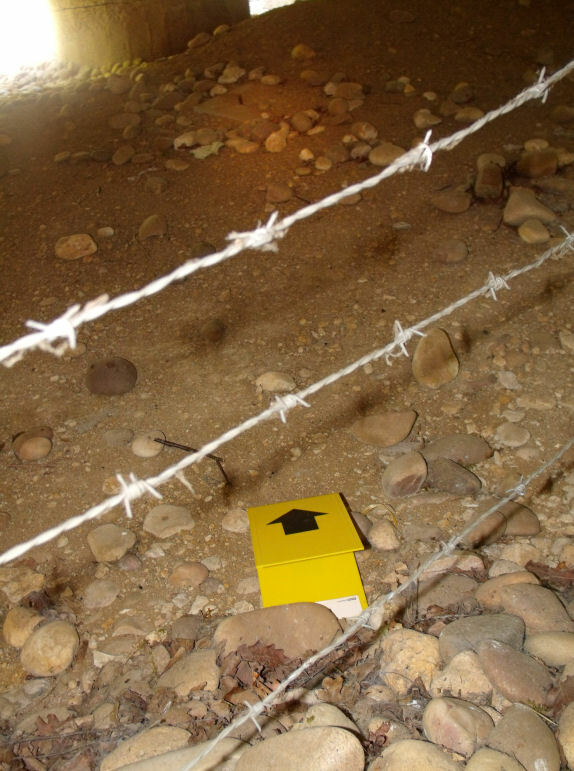 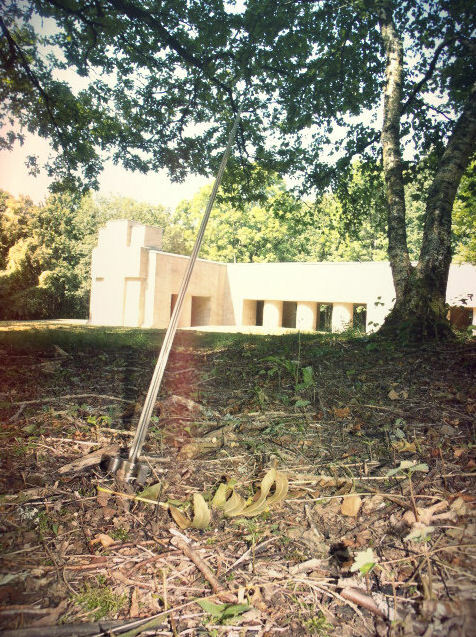 They may have used the rifles and bayonets as makeshift markers for the position of the fallen French soldiers for later exhumation and reburial. 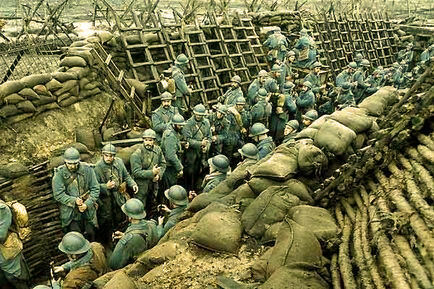 From a period photograph we learned that mass and sudden death of entire unites in their trenches was not uncommon in World War One. 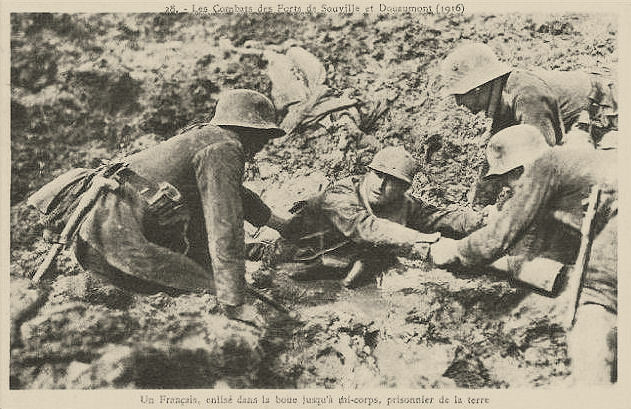 This photo shows German soldiers and was published in "Le Miroir" of 7 NOV1915. 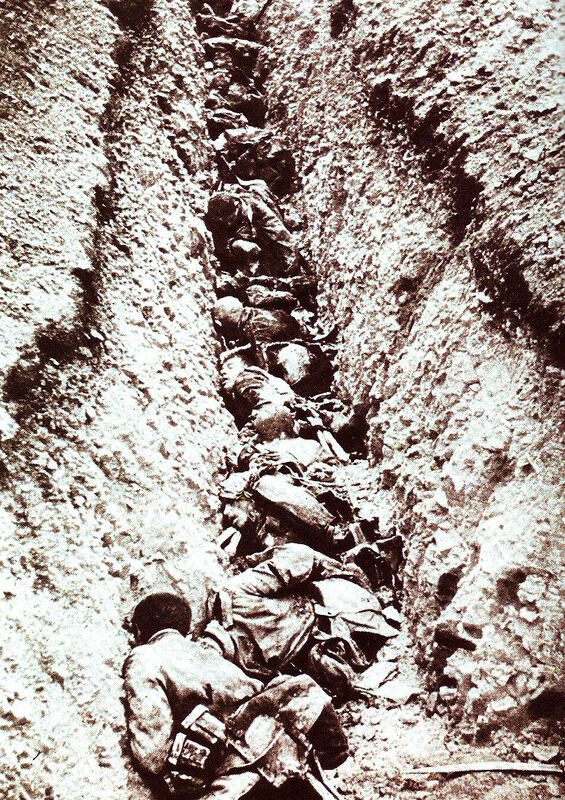 Note that the image shows all soldiers lying slumped down and that not a single rifle can be seen. 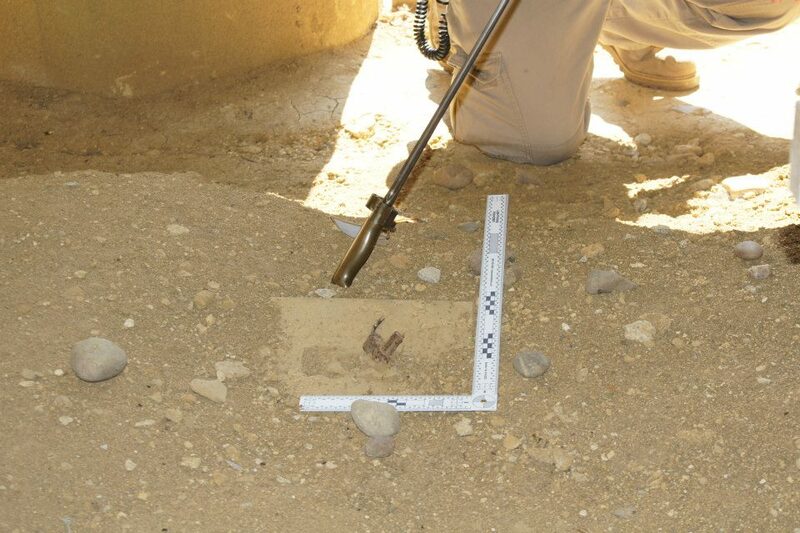 Form archeological finds on the battlefields, "Combat Scene Investigation", it is known that it was a common habit to bury soldiers, especially enemy dead, where they had fallen. 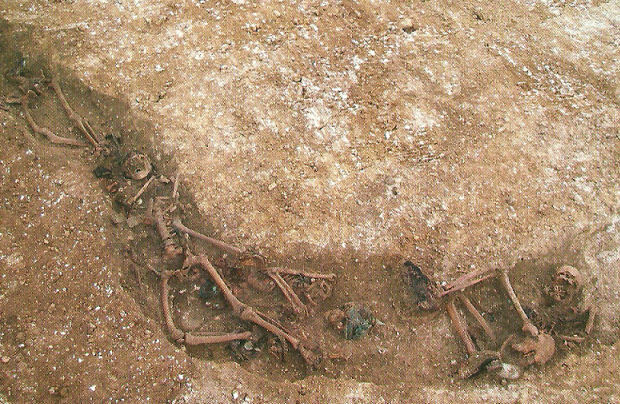 The decomposition of large numbers of human remains posed a serious and often lethal threat to those who had to continue the fighting. 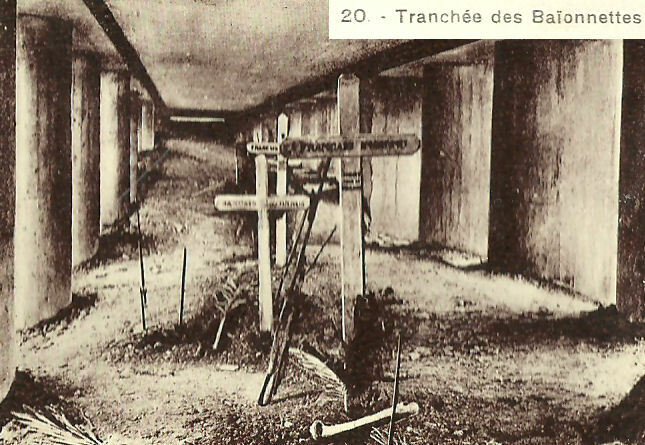 This image shows another possible cause for the burial of the French soldiers; however a less likely one. 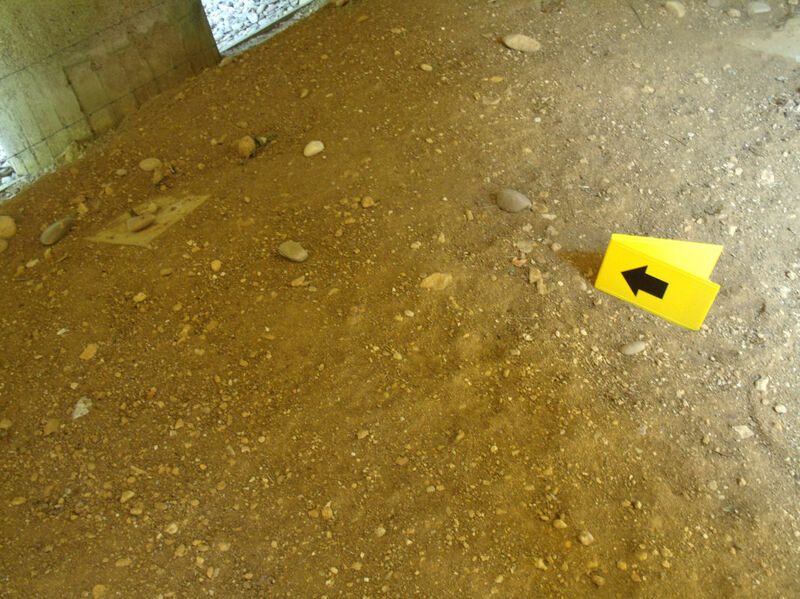 What happened here exactly will, most likely, never come to light completely. 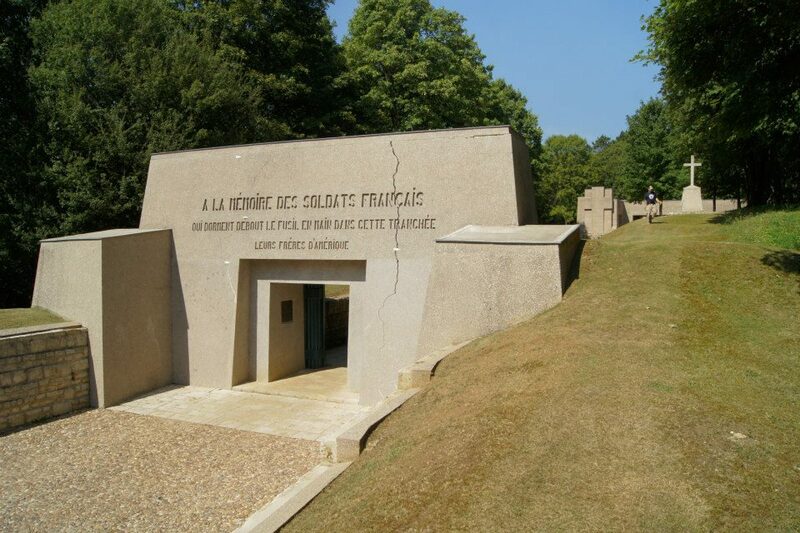 However, the legend persists because whatever happened was an epic display of gallantry and sacrifice by the French infantry men and vivid documentation of the intensity of Great War combat in the Verdun region. 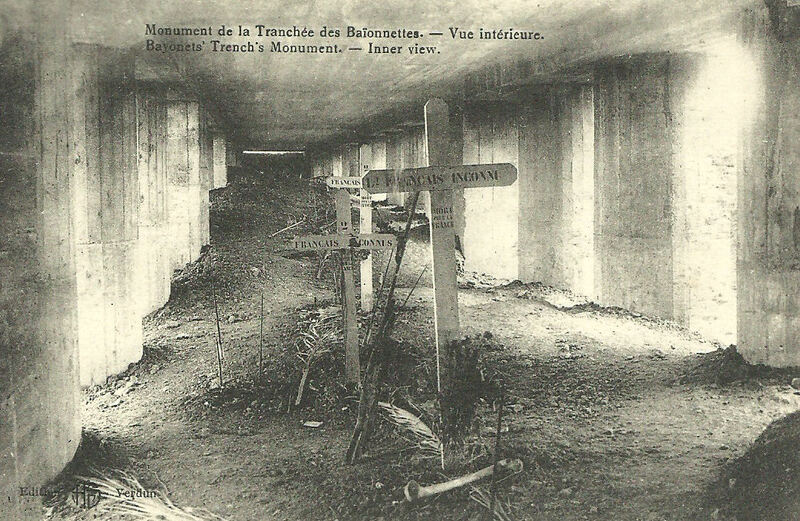 La Tranchée des Baïonettes symbolizes what makes Verdun a significant event in military history. 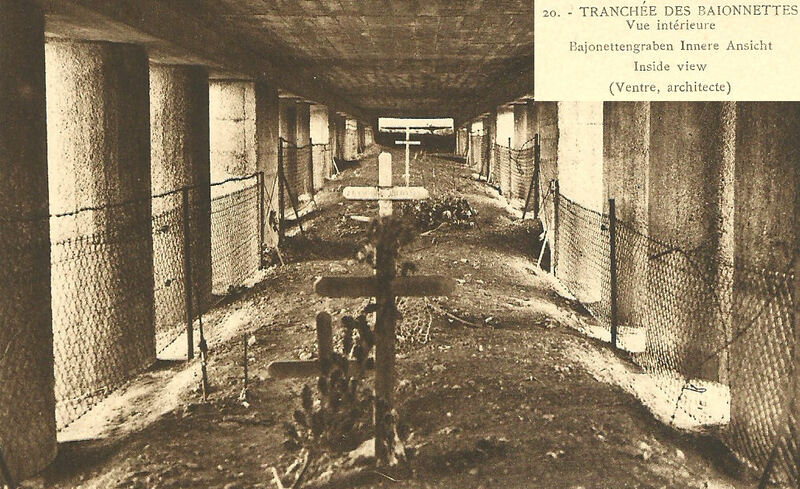 It also illustrates that post war accounts are not always objective, impartial and accurate, to say the least. 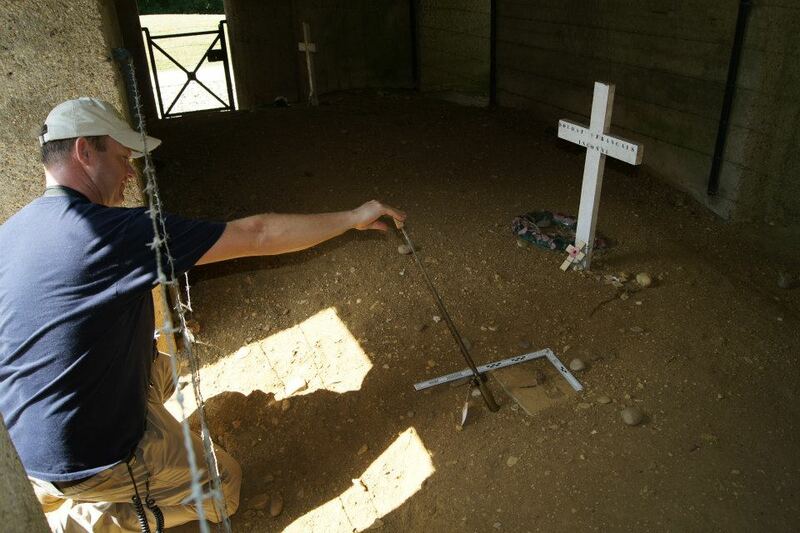 Today , the Bayonet Trench can be visited freely. 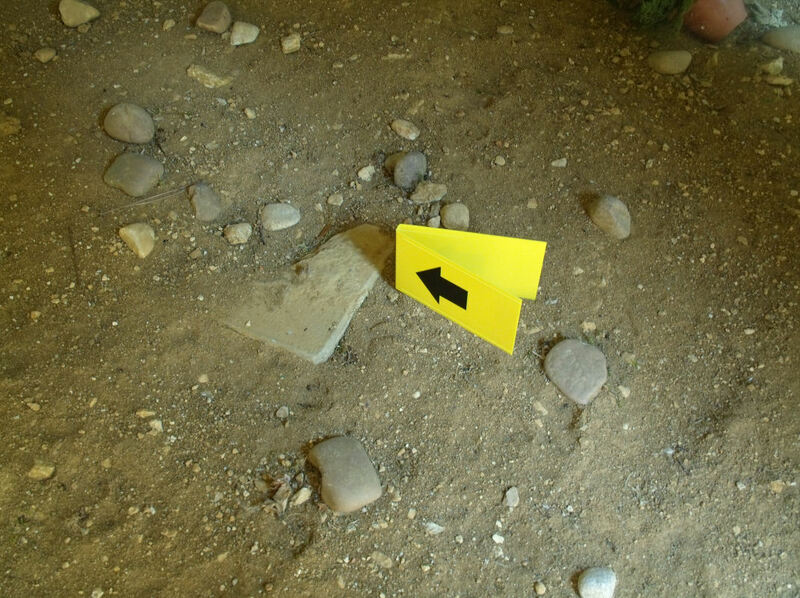 When we visited the monument in September 2012, we found a raised ridge of khaki colored dirt, rather than a lengthy shallow indentation which one would expect when visiting a trench. 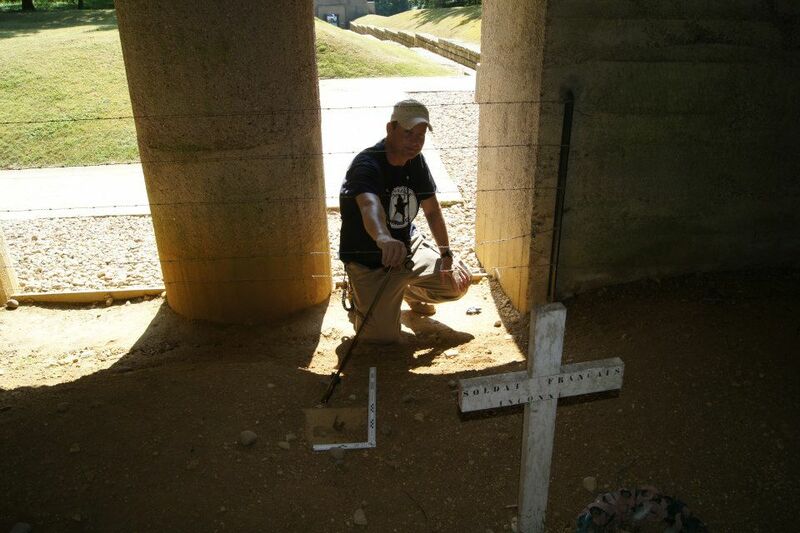 In the dirt we discovered the rusty remains of five (5) French Lebel bayonets protruding from blocks of concrete. 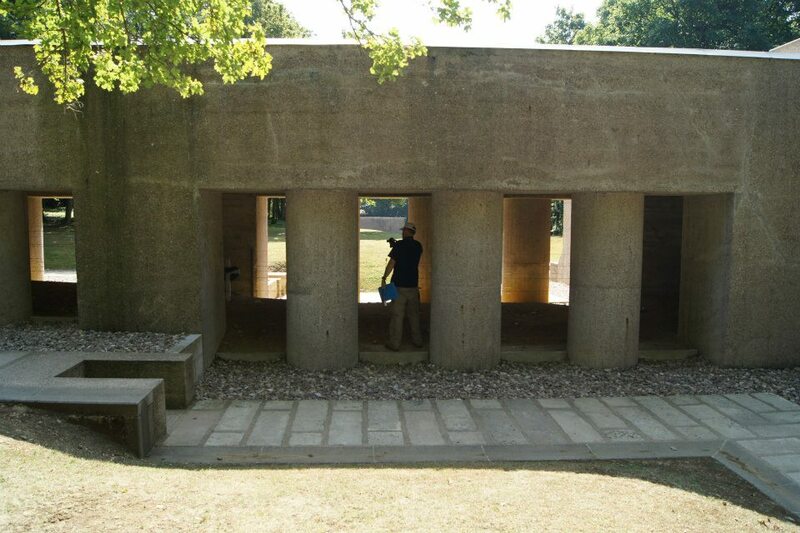 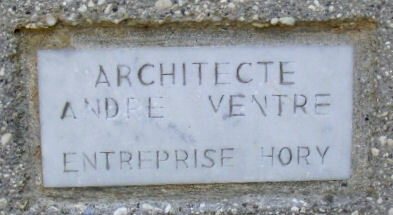 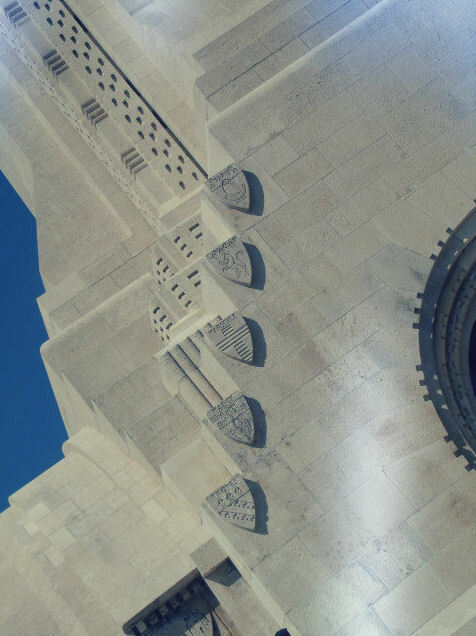 It is our theory that these features have been added by French authorities in the years after the monument dedication. 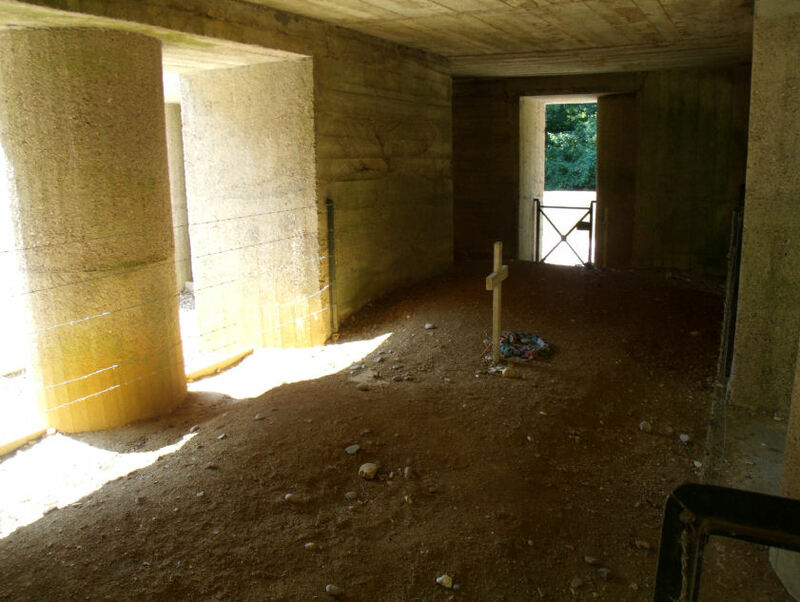 Although presumably cast in concrete blocks from the pommel to the bayonet attachments with the intent to prevent theft, their x-shaped blades had all disappeared. 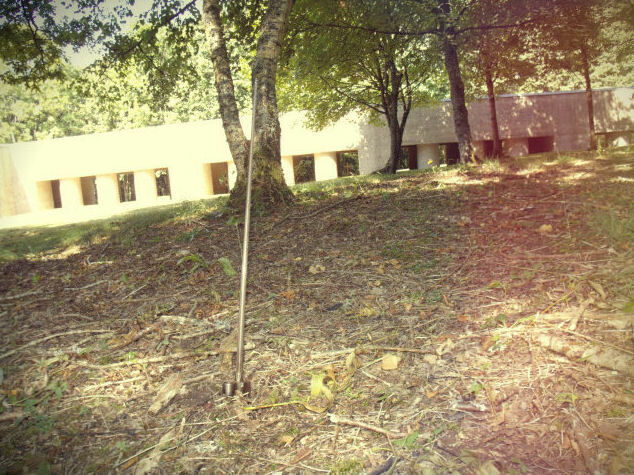 We placed an intact period Lebel bayonet next to one of these "stumps" in the same angle to demonstrate what could once be seen here. 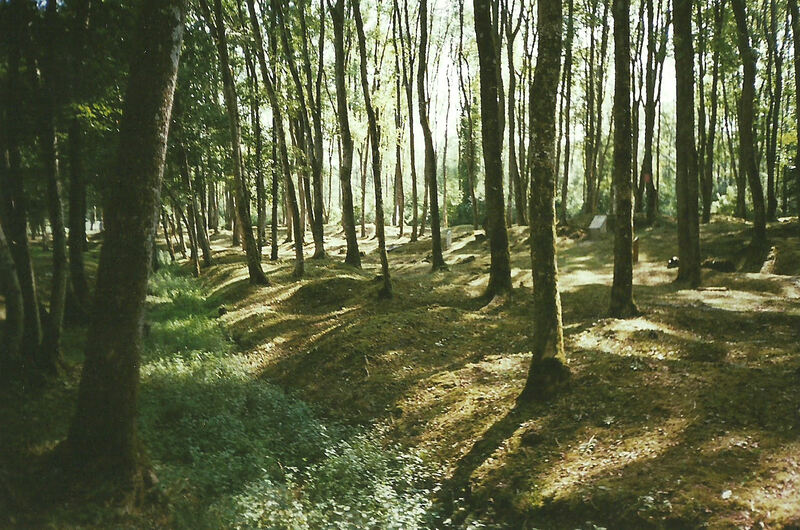 Images of what the trench would have looked like prior to the death and subsequent internment of the men of Company "3" of the 137th Regiment.